Insurance providers know how important it is to be in the right place at the right time. They need to be available for their customers when it matters most, and one of our clients found website content has been another way to be responsive to consumers’ needs. In fact, the company has seen that over time, there’s immense value in building a consistent presence on the web. The insurance company worked with our content editors and writers to build a strategy that both addressed customers’ questions about insurance and appealed to their personal interests. To find the right leads, our writers keep an ear to reliable news sources and official reports. Learn more about what it’s like to use news to fuel industry-specific content is this employee spotlight about a Business & Marketing writer. These topics have proved to attract visitors: Year over year, the number of users increased 30 percent. 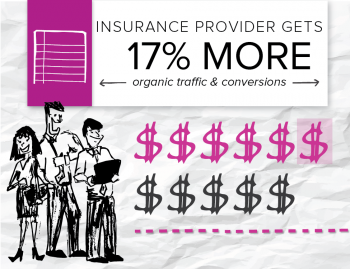 As the site gained traction in search results, organic traffic has also risen 17 percent. We also saw that news readers were bouncing off the page less often than the average visitor (bounce rate decreased 7 percent), and were reading more content once they were on the site. 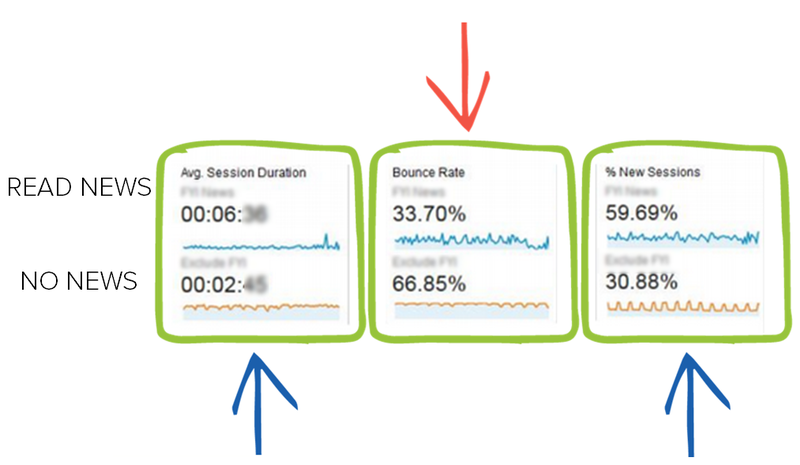 The number of pages visited per session increased 11 percent and the length of visits grew over a minute. Marketers who know when their audiences are most active should publish content at those times to get more eyes on the page. It also gives articles more time to gain traction throughout the day. Conversions are the true trademark of a content success story. It’s undoubtedly important to get more eyes on the page and see strong engagement metrics, but marketers need to prove their online efforts are enticing visitors to take actions that make money. Content readers had a conversion rate that was 4.36 percent higher than average visitors. This company could clearly see how its news content was influencing readers through a conversion rate that was 4.36 percent higher than average. Prospects who came to the site and read news articles were more likely to request additional information or find an agent than people who came to the site without reading any Brafton content. The information was engaging visitors, educating leads and building trust. Content marketing is a way for businesses to humanize their brands. Corporate blogs are a way for companies to show they understand the products and services they sell will only be a small (but important) part of their clients’ daily lives. Content writers know how to strike the balance between valuable business information and the stories that are going to capture readers’ attention on a personal level.